Please note that above price is subjected to change and is for reference purpose only. Kindly contact Renault Nepal to get the latest showroom price. Note: Renault car price list was last updated on February 12, 2019. Renault Car in Nepal is distributed by Advanced Automobiles Private Limited, which is part of Vishal Group. Renault officially entered Nepalese market in 2016 associating with one of the largest business Group in Nepal. It offered Kwid and Duster as initial offering. Vishal Group has history of over 50years and has been prominent importer & distributor of various international brands. The company has state-of-art showroom at Jaycees Bhawan, Ground Floor, Thapathali. The facility there was designed based on RENAULT-STORE concept. This includes new generation facilities which are designed to best address the needs of customers by highlighting the value of product, brand and services in effective way. Renault Kwid and Duster had both been successful in International Market. Duster, particularly in Nepal, is gaining much popularity due to its unique stylish look. Duster is good example of Renault’s core specialty of ‘concept innovation’, where existing car segment is redesigned to present something new to the customer. It offer superior engineering, safety, style and comfort features. 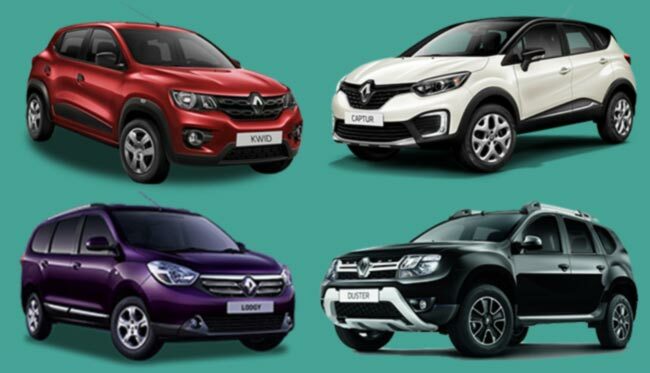 As of today, they are selling 4 models which are Kwid, Duster, Lodgy and Captur. Renault car starts at price of Rs. 22.25 lakhs in Nepal and goes up to Rs. 64.89 lakhs. Renault in Nepal has two workshop facilities. One is in Kalopul and another one is in Paropkar, Kathmandu. These offers excellent brand experience from test driving to top-of-the line after sales services to its customers. You can contact Renault Nepal at the information given below. Or you can message us your queries regarding Renault car price in Nepal or its specifications at our Facebook page.